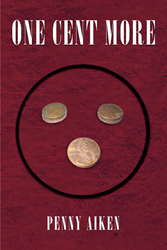 Recent release “One Cent More” from Page Publishing author Penny Aiken is both insightful and inspiring; this compilation of poems follows a personal journey of love, loss, loneliness and laughter. Penny Aiken, a writer, poet and author, has completed his new book “One Cent More”: a passionate and philosophical work that delves into the honesty and cruelty of life. The author’s life is depicted through the melodic words of poetry. Published by New York City-based Page Publishing, Penny Aiken’s profound work is the perfect addition to any poetry lover’s book collection. To all of those who have given thoughts to love and everyday happenings that people experience along the roads they travel. Some have loved and lost but the poems within these covers touch both sides, along with tragedies, dreams and just everyday occurrences that walk in and out of our life. Songs will be sung, books will be written and words will be set to rhyme, all with love in mind. Even in the midst of true love, people still search for more inner feelings, never taking for granted how and why one person became their eternal love for life. Even in the good and bad times. Readers who wish to experience this telling work can purchase“One Cent More” at bookstores everywhere, or online at the Apple iTunes store, Amazon, Google Play or Barnes and Noble.